Faye would like to let you know that her work here is done. On Friday 28th July 2017, she answered a call for an offer she could not refuse and one she will not be returning from. She will continue her work but with the added benefit of a reunion with friends and family she has not seen for a very long time. This new position takes her to a wonderful place where she'll be socialising, gardening, painting and reading to her heart's content. Music, laughter and love are guaranteed. Food is delicious and she'll never gain an ounce. Mini E-Books are now free to download from the online store. Transforming the ORIGIN of Disharmony. Our time together can be for moving BEYOND HEALING to TRANSFORMATION which forever changes You at the very centre of your Being. "Techniques" do not heal at the causal level, which means the healing is temporary and will manifest another 'dis-ease' that aligns with the original cause. A Medical Intuitive 'sees' blockages and imbalances in you through intuitive means of the inner senses. To experience wellbeing in ALL areas of your life, a shaman helps to balance and unite the physical and non physical states. Everything is energy; both in your physical and non physical dimensions. Contained within the energy is information. This is how it is possible for shamans and medical intuitives to 'sense' the message within energy and use it powerfully for change and transformation INSTANTLY into wellbeing. You also can discover how to tap into your own Inner Shaman. ND, TWM, Dr. Traditional Western Medicine (Colombo). Not a GP. January 23, 2014 - Radio interview hosted by Jayne Dabu, L.Ac. Faye Rosie is a Naturopath, Shaman, Medical Intuitive, the Author of "The Power of Your Spirit," "Abundance: Filling Your Desires with Effortless Ease" and Creator of the Heart Healing Symbol Cards. Faye has her own private practice based out of Cairns, Queensland, Australia. 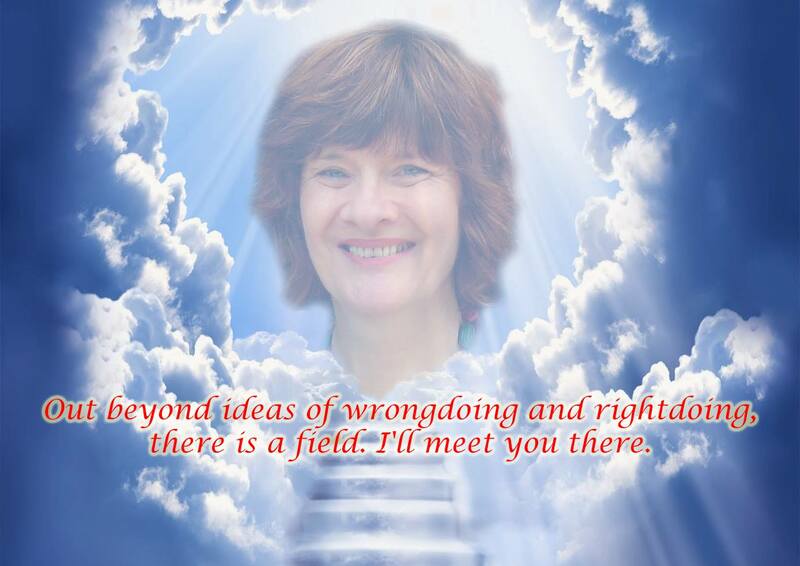 She speaks with us about transforming our spiritual and emotional health using the multidimensional energies embedded within the Heart Healing Symbol Cards. Being an accomplished healer, Faye assists her clients by helping them to live in alignment with the higher wisdom of their heart. Faye's desire is for people to come to the fullness of their potential and realize their life purpose. 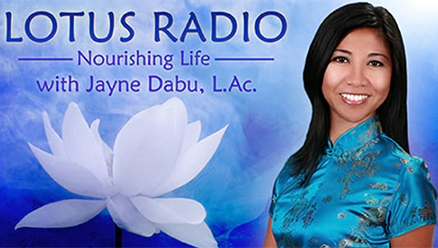 Tune-in to this transformational and empowering interview with Faye Rosie on Lotus Radio - Nourishing Life. The catalyst that began my journey to become a shamanic naturopath was at the age of 10. I was anxious about being late home, and getting off the bus, ran across the road. A car turned quickly from in front of the bus and hit me, flinging my body onto the footpath where I was left lying unconscious. From the spiritual realm, I could see my body lying on the footpath. I continued running, still with the intention of getting home quickly. A large bright being met me and said I needed to go back to my body. I didn't want to go back. The being told me that it was important for me to go back as I needed to do work in healing. I was then picked up and carried back to my body. As I entered my body, I became conscious. From that moment, it seemed that my inner senses of knowing, seeing and hearing became much more sensitive. I commenced art training at 33. My artwork was very detailed (photographic style, precise, "perfect"). During 2001, when a fresh inspiration to paint surfaced, I began symbolic artwork to express the impressions I sensed with people on their journey. In 2003, my intuitive or creative art opened to a different path. I discovered that healing energy could be embedded into my artwork to transform lives. I created a set of 30 cards.These Heart Healing Symbols Cards are the most powerful and transforming tools in my 35 years of experience. They provide you with a quick and sometimes instantaneous way to accelerate your higher consciousness. You'll heal quickly, often instantaneously. Your whole life will be revitalised and refreshed. 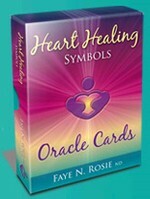 Order your Heart Healing Symbol Cards here. At 15, a school nurse detected my back problem. I was referred to a doctor, who referred me to alternative therapy. I discovered a Naturopath who I was most impressed with. He was able to tell me what imbalances I had by doing an iris diagnosis and giving the most beneficial therapeutic treatment. He was a very spiritually sensitive man, using spiritual knowing and wisdom to address varied conditions. This opened my spiritual awareness in a different way again. "I had the most wonderful all over happiness and lightness surround and fill me. I felt totally and completely free and the most amazing lightness in my being. It's a bit hard to describe but I almost felt like I could fly.... The feeling lasted about an hour. The next day I woke feeling clearer and more alert than I have in a long while and sailed through today with lots of energy and enthusiasm...Thank you very much!" CG, Darwin, Northern Territory, Australia.